My friends A and L and their mom came up to the city today. They had the day off for Veterans Day and we took advantage of the time to explore a fun children's museum nearby. Its a small hands on museum that focuses on creativity and innovation. They even have a sound booth/karaoke machine. 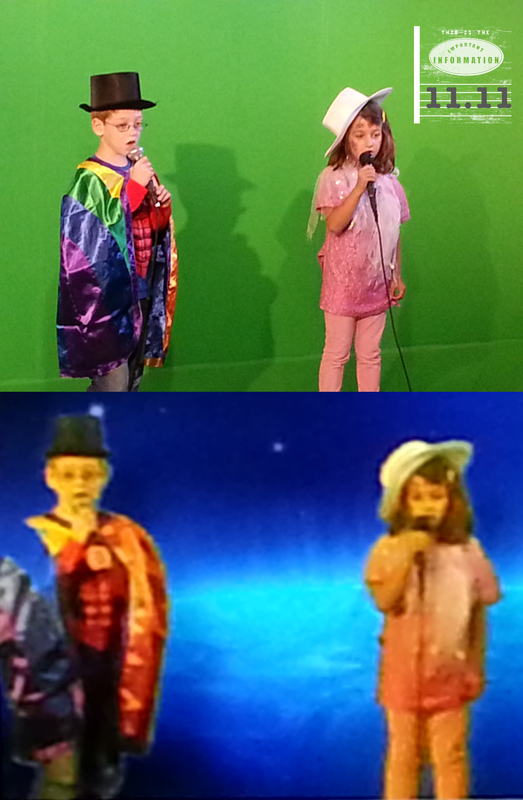 There were costumes the kids could wear while singing their favorite songs while the technician put a fun scene behind them. They sang a Christmas song and Taylor Swift's "I Knew You Were Trouble". Even though they weren't any trouble whatsoever. I had a blast with them and catching up with their mom. Sorry about the blurry 2nd photo...it's a snapshot of a computer screen in a very low light room.